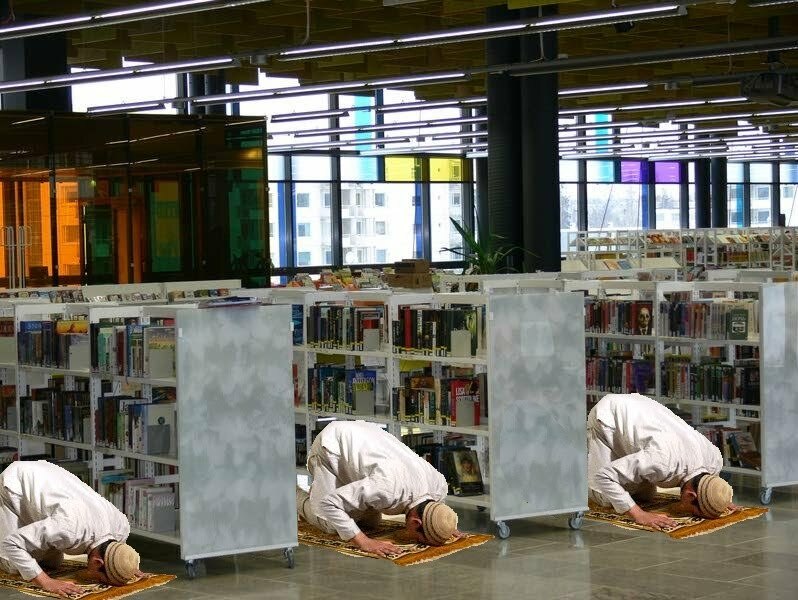 FINNISH PUBLIC LIBRARY ARRANGES RAMADAN PRAYER SERVICES……. – The Tundra Tabloids……. 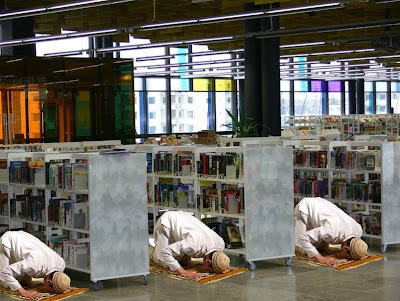 FINNISH PUBLIC LIBRARY ARRANGES RAMADAN PRAYER SERVICES……. Länsiväylä: A central Espoo library operating out of the Entresse shopping mall has arranged a partition for an isolated prayer space for Muslims. -This is a temporary arrangement for the period of Ramadan. There is not going to be a permanent place of prayer for them here, regional library director Terhi Nikulainen declares. He points out that of the loyal customers who enjoy the library, more than half are Somalis. -We wanted to serve this group during this period, in which case they will have to pray several times a day. The idea for their own prayer sessions was according toNikulainen, last week’s story about the prayer ban at the gym operating at the Entresse mall. Next Post Next Post GERMAN CHANCELLOR ADMITS MUSLIM IMMIGRATION HASN’T BEEN WORKING SO WELL……..